TOP SEED Michael van Gerwen will play leading home star Max Hopp in the first round of the 2018 German Darts Masters when the World Series of Darts event is held on Friday May 25 in Schalke. 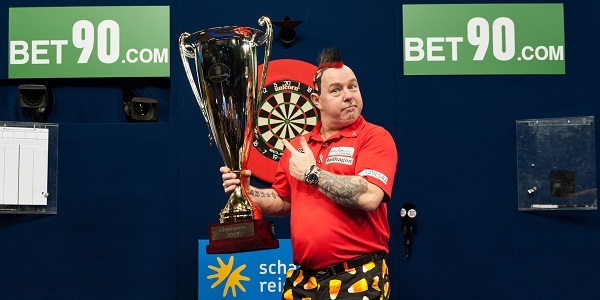 The first of six global events on the 2018 World Series of Darts will take place in front of a record-breaking 20,000 crowd at the Veltins Arena which will be transformed into a "Darts Music Arena" for the one-day spectacle. 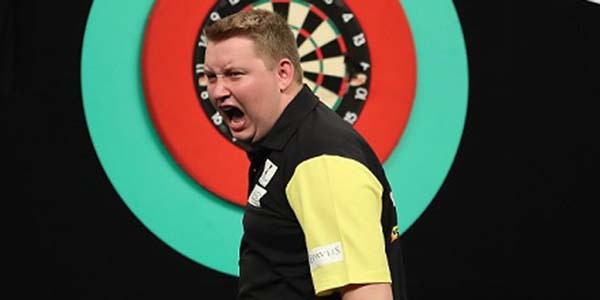 Eight leading German players will compete in the tournament, led by German Darts Open champion Hopp, who will be hoping for first career win against Dutch ace Van Gerwen. Reigning champion Peter Wright will face Dragutin Horvat in a rematch of their first round clash in last year’s tournament, which saw the world number two edge a 6-5 thriller. Berlin-based youngster Schindler, who made his breakthrough last year, will take on World Series debutant Dimitri Van den Bergh, the World Youth Champion who steps onto the global stage. World Champion Rob Cross will also be making his first World Series appearance as he faces Stefan Stoyke in the opening round. Number four seed Gary Anderson will take on Gabriel Clemens, who has made a big impact on the ProTour in 2018, while World Championship semi-finalist Jamie Lewis will also take his World Series bow against Nico Kurz. Austria's Mensur Suljovic will play Robert Marijanovic, and five-time World Champion Raymond van Barneveld will take on Manfred Bilderl. The first round will be split across two mini-sessions at 3pm and 5.30pm local time, with the quarter-finals kicking off a bumper evening session from 8pm. The intervals will see music acts on stage at the Veltins Arena to complement the unique World Series of Darts tournament. Tickets for the 2018 German Darts Masters are still available and can be purchased via THIS LINK.